There are 29 reviews of Le Maroc pour Elle. Complex, deep and above all, exquisitely balanced floral oriental. Turin's three stars do it an injustice. This is a four star, at the very least. The impression for me is of jasmine, sandalwood (the real thing), amber, rose, plum, and (as everyone here notes), the sweet smell of head shop incense sticks. 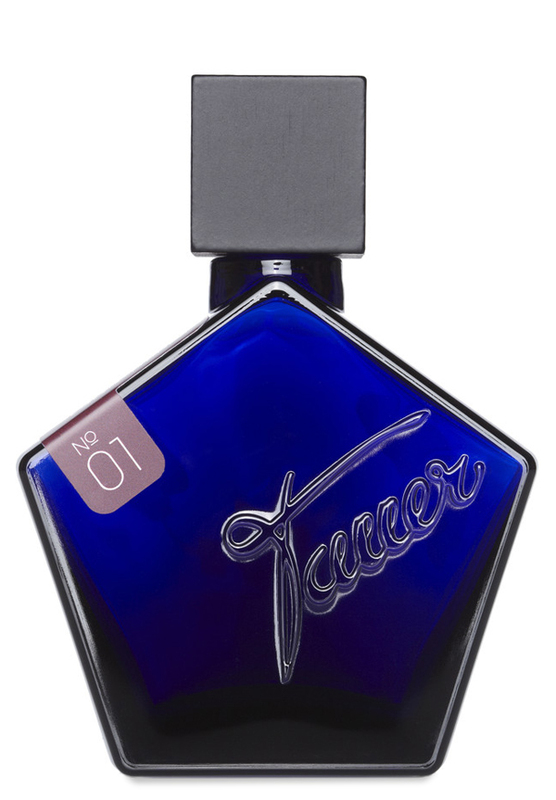 It would certainly be attractive for women (this was Tauer's first scent and was initially labelled just Le Maroc) but why add the "pour Elle?" Leave the name alone and promote a unisex attraction to it, thus potentially doubling your sales. There is nothing remotely nailing it as too feminine for a man to wear. I would recommend it also to those into vintage scents from the 1930s and 1940s. Especially those attracted to floral chypres. A great modern floral oriental. A fruity mandarin in the opening blast, a darker and warm citrus blast, is skillfully intertwined with a brighter lavender and standings on a sleek jasmine carpet as a foundation of this delightful triad. Now that all sounds rather traditional, but Tauer manages to balance the individual components in a way that they create a new and unusual overall impression. The second stage is less interesting, but still well crafted with s pleasant slightly cedar-based wood impression. The most intriguing part of the base is a non-incense balsamic base note that forms an inspiring addition towards the end - yes, no real incense in this Tauer but a balsamic-aromatic aroma, which is neither heavy nor ceremonial. I get moderate sillage, good projection and nine hours of longevity on my skin. After bout six hours it collapses, but I was wrong to write it off at that stage; it came back convincingly to last another couples of hours. A scent for autumn, elegant with depth and a creative twist. 3.25/5. I’ve been wearing my sample of Andy Tauer’s Le Maroc Pour Elle for the last six nights running and it’s about to run dry – but I’m still not sure I have a handle on it. I know what I expected – a thick, balmy floral oriental with a head-shop vibe. And for the most part, that’s what I get. But damn, this thing is mercurial. It never reads the same way twice on my skin. Over the six times I’ve tested this so far, I’ve picked up on (variously): unburned incense cones, amber cubes, floor disinfectant, indolic jasmine, antiseptic lavender, shoe polish, mandarin oranges, gasoline, sweet gooey amber, rubber, candy, tuberose, leather, orange blossoms, and, once, the dry, sweet smell of a paper grocery bag. It’s totally weird. It is slutty and deep and weird. I think I love it. But maybe I hate it though. I’m a bit all over the place with this all-over-the-place perfume. Part of my confusion comes from the fact that Le Maroc is the least “Andy Tauer” Andy Tauer perfume I’ve ever smelled. Although it does feature a fizzing Indian incense-and-rose pairing that recalls the Coca Cola twang of Incense Rose, it has nothing of the crystalline, hot-arid feel that runs through his others like a watermark. Andy Tauer perfumes are passionate, but also highly curated. You get the impression that every nuance is fine-tuned with the precision of a Swiss clock. Le Maroc Pour Elle is not Swiss clock-precise. It is messy as hell, like a five year old child who’s smeared her mother’s red lipstick all over her mouth. It begins with a clash. A syrupy, medicinal lavender note immediately butts heads with the howling shoe-polish stink of a serious jasmine overload. Hyper-clean lavender versus a carnal jasmine – no contest. The animal fur stink of jasmine, once the petroleum fumes die down, is just gorgeous. It melts down into a waxy note that doesn’t smell truly of rose but of something sweet, soft, and pink. I know there’s scads of high quality rose oil in this, but the incense and the jasmine twist its delicate smell into a form I don’t recognize. I suspect the rose is just there to soften the jutting hips of the jasmine so that the overall effect is sweetly, thickly lush. On other occasions, I have picked up a rather pungent, sharp orange blossom note, which, when combined with the honey and the flowers, creates a softly urinous aroma that does indeed recall the orange blossom, honey, and civet of Bal a Versailles (as Luca Turin so aptly pointed out in The Guide). I even got a strong tuberose note once or twice – at first clipped and green, then creamy, and slightly rubbery. How talented Andy Tauer is, to combine rose and jasmine absolutes and do it in such a way that they conjure up the vivid, breathing form of other flowers. This is the part of the perfume that feels classically French to me – that weave of expensive-smelling flowers and female skank. But most of the perfume feels like an attar to me. It is a dark brown perfume, and stains the skin. Every time I wear my sample, I feel like I should be anointing myself with it carefully, like I would a concentrated perfume oil or pure parfum, applying it in minute drops to my wrists instead of spraying it. I feel it sink into my skin and become part of my natural scent, mixing with my own skin oils and musk. The backing tape to it all is a fizzing, cheap Indian incense smell, almost identical to the smell of unburned incense cones and amber cubes. A deep brown, 1970’s style patchouli adds just the right amount of head shop grunginess to rough up the florals and ground them a little. Combined with the mandarin oil, it’s like having a tiny drop of Karma (by Lush) wrapped up in the heart of the perfume, surrounded by expensive rose and jasmine absolutes. Le Maroc swings between smelling ultra-expensive and French to cheap and hippy-ish and back again. I’m confused (and intrigued). The mixture of expensive, attar-like oils and cheap, low-quality incense is oddly intoxicating. That’s not a criticism, by the way – the appearance of a cheap note propped up against a sea of expensive, luxe notes is an effective way to draw attention to the expensive stuff, kind of like a bas relief effect. I’ve noticed this cheap-expensive combination in other perfumes such as Noir de Noir (a cheap rosewater note against expensive dark chocolate) and Traversee du Bosphore (a painfully artificial apple and pomegranate syrup accord that’s counteracted by lush lokum and suede). I’m starting to see the kind of person who wears this perfume and wears it right. In my mind’s eye, I see a woman in a dirndl skirt and a baby tied at her voluminous hip, wandering through a health food store, picking up incense sticks, smelling them, and dabbing all sorts of essential oils on her skin. She has laughter lines on her suntanned face and a smile that makes men melt. Her smoker’s laugh contains some kind of sexmagic. No doubt about it, Le Maroc is a zaftig perfume, a husky thing with child-bearing hips and a crude sensuality about it. I am not quite sure I have the sexual confidence to pull this off, even if I do have the child-bearing hips thing down flat. Still, I can’t get this weird, sensual, earthy, head-twisting perfume out of my head, and that spells trouble. Quite unlike what I expected having being promised rose and jasmine in the heart of this perfume. Instead the bright headnotes of citrus and lavender merged immediately with a sharp cedar and what Tauer calls ‘balm of oriental woods’ (something resinous and incensy at any rate) to give a curious pickled lemon opening which went via the carpenter’s shop and the medicine cabinet into a drydown that was dry, somewhat more rounded, sweetened slightly, less pungent and urgent. It kind of fits with the ‘le Maroc’ of my imagination (I’ve never been) – dry, powerful, the smell of stalls packed together, selling leather and wooden wares, carpets, spiced concoctions and local cosmetic preparations. Much later an oily jasmine got off its fat backside and made its voluptuous appearance. Something of a head trip and a statement, so definitely not a casual perfume. For me I get a huge "cough syrup" vibe. The juice is a dark, ambery, resin-like colour, almost like an extrait. It has immense strength on the opening, but later the notes dry down to give an incredibly rich, authentic spicy-sweet jasmine, almost like an oil. Make no mistake, when you first test this you WILL smell like cough syrup! Very sweet, rich and medicinal. Upon dry down, the patchouli resin base is what remains, with a notable, ever-present aroma of real jasmine which lingers. Always try first, but I can't deny it's incredible beauty as a fragrance. This fragrance is such a shape-shifter that I recommend multiple samplings before purchase. I think this is one of those fragrances you'll instantly love or intensely dislike, for it's one powerful perfume. That being said, I love it. Dark, rich, heady spiciness and woodiness with a sweet heart. The notes listed above really don't capture what is going on with this fragrance. I don't get any opening notes of citrus but instead loads of spice and woodiness. Incense, deep and exotic. When the heart notes begin to appear an hour into wearing, the spiciness dissipates and the sweet juiciness of mandarin oranges appears alongside a touch of rose and much jasmine. (For some reason, the rose in Tauer's fragrances are not prominent on my skin, so I guess this is body chemistry at work.) The drydown is very dry cedarwood and slightly resinous with amber notes. Hot and spicy, warm and sweet, then cool dryness; a remarkable journey from beginning to end. Sillage is strong, longevity over 12 hours. I would wear this day or night, and think many men could wear it as well. Because of its initial blast of spices and incense, it might be best in the cooler temperatures of autumn and winter than high summer. Pros: Exotic, spicy, rich, and dark; extremely long wear. Cons: Some may find it too potent for daily wear"
There are no member images of Le Maroc pour Elle yet. Why not be the first?